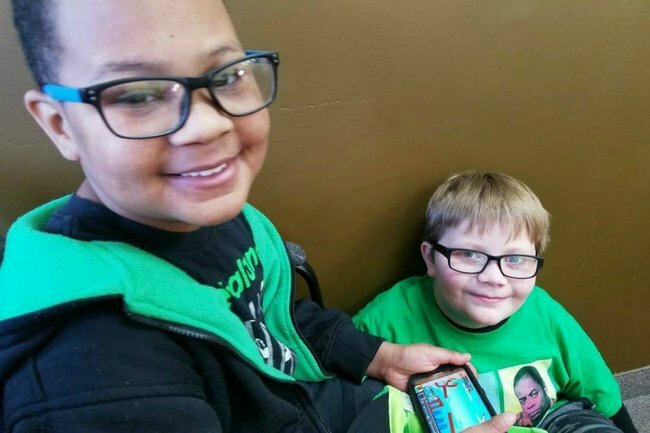 Boy raises money for friend's headstone: KJ and Kaleb's beautiful story. For the last few weeks, 12-year-old Kaleb Klakulak has been doing odd jobs around his neighbourhood in the US state of Michigan. Raking leaves, collecting plastic bottles for recycling. But the money he’s earned was never intended for his own pocket. It’s to ensure his best friend’s final resting place is the one he deserves. Kenneth K.J. Gross died in May of congestive heart failure, a tragic complication from the leukaemia that had plagued his life since he was 13 months old, The Detroit News reported. 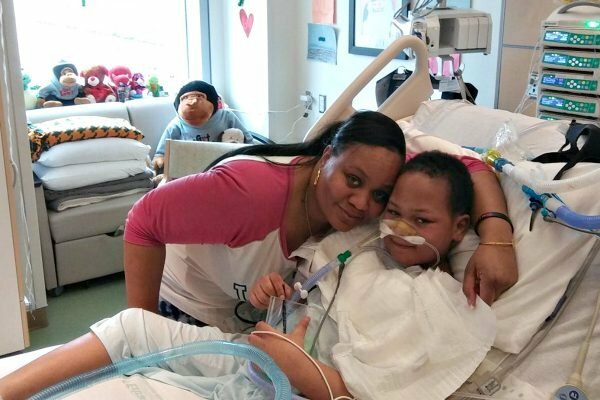 When he entered hospital for the final time in January, his mother, LaSondra “San” Singleton, quit her job to sit by his bedside, and through it all has been caring for her five children and an Alzheimer’s-affected parent. A gravestone for her little boy was simply out of reach. Until Kaleb offered to help. LaSondra and K.J. Image: Facebook. Along with the raking and the money from recycling deposits, K.J. set up a PayPal account asking for donations. His goal was $2,500, and he wanted to give it to LaSondra by Christmas. This week, his wish came true. A local funeral home employee who read the story in The Detroit News, has donated a headstone, which has been chosen by LaSondra and was due to be installed at K.J.&apos;s grave on Wednesday. It reads, "KJ Gross, cherished son, brother & friend. January 4, 2006 - May 1, 2018." The money raised by Kaleb is being given to LaSondra. K.J. and Kaleb had been "inseparable" since they met in the second grade, right through until the end, LaSondra told CNN. 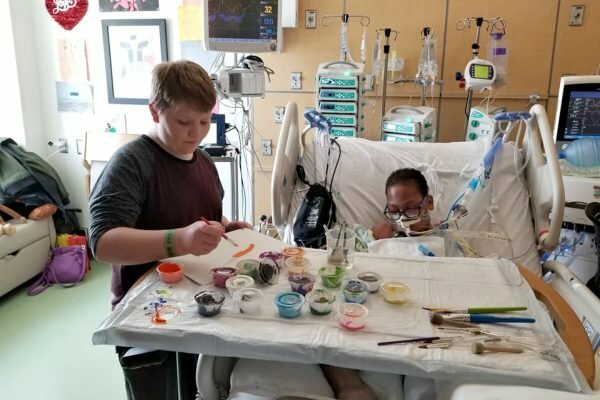 In K.J.&apos;s final months, Kaleb would visit his friend in hospital weekly, where they&apos;d spend hours drawing, playing video games. Kaleb would visit K.J. every Tuesday. Image: Facebook. Then on May 1, Kaleb&apos;s mother, Kristy Hall, received a phone call. It was LaSondra. K.J.&apos;s condition was deteriorating - they should come, and soon. They rushed to the hospital, and though K.J. had slipped unconscious, Kaleb had the chance to say goodbye to his special friend. "He&apos;s not made another friend since," Kristy told CNN. "I believe it&apos;s hard for him because he&apos;s afraid. He doesn&apos;t want to lose someone else." But Kristy said the fundraising effort has played a huge part in helping him through his grief. And LaSondra through hers. In an emotional Facebook post this week, the grieving mother expressed her love for her son and for his friend, who did so much to ensure her boy is never forgotten. "In the 12 years of his life [K.J.] showed many what it&apos;s like in heaven [through] his heart that many believe failed him, but it didn&apos;t - a heart of gold could never fail," she wrote. "His heart is still working today as you can see [through] the outpouring we&apos;ve received, because of kindred hearts and spirits connecting in the 2nd grade. "K.J. lives [through] Kaleb now."